PHILADELPHIA (WPVI) -- If you ever wanted more from your Panera bread bowl, you are in luck, as long as you live in Philly. The restaurant chain is "testing America's appetite" for its newest menu item - the Double Bread Bowl - only in the Philadelphia area. The Double Bread Bowl is one loaf, but with two cut outs. 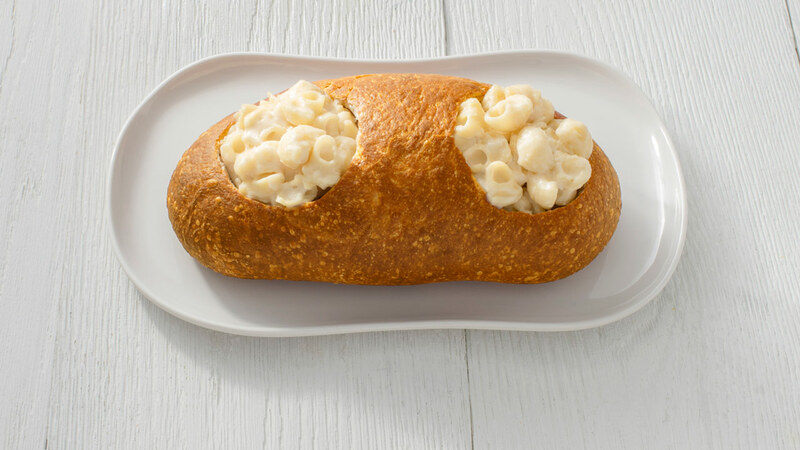 "Ideal for sharing with your BFF, significant other, or even a co-worker, the Double Bread Bowl can include any two of Panera's signature soups or Mac & Cheese," Panera said. The Double Bread Bowl will be available starting August 5 in Philadelphia area cafes. The test runs through August 31. Guests will be able to order it upon request in the cafes and through delivery.